September came and went in a blink, which so often happens when you are having a lot of fun. The Vinoy Hotel, built in 1925, abandoned in the 1970s, revived in the 1990s. It was a terrific conference venue. 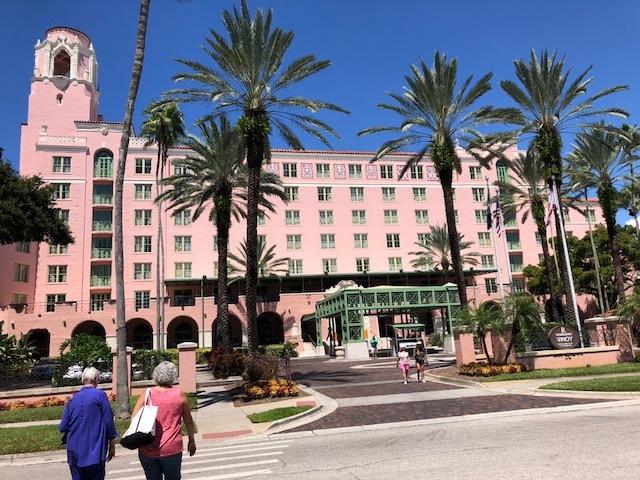 Bouchercon, the international conference of crime writers, was in St. Petersburg, Florida the weekend after Labor Day weekend. Held at the fabulous Vinoy Renaissance Hotel, it was a blast. Highlights? Watching Lawrence Block interview Ian Rankin, the panel of women thriller authors (Lori Roy, Shannon Kirk, Meg Gardiner, Chris Goff and Lara Dearman – wow! ), the Anthony Awards ceremony, and the opportunity to meet and chat with so many writers, agents and editors throughout the weekend. 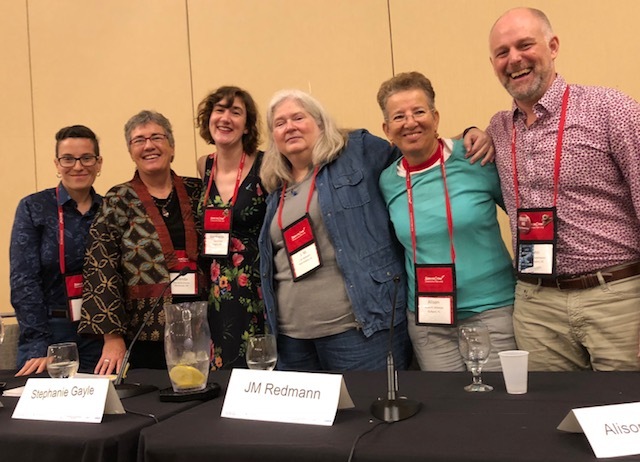 I took part in a panel discussion titled “Somewhere Over the Rainbow – LGBTQ in Crime Fiction,” with Stephanie Gayle, John H. Copenhaver, J.M. Redmann and Alison R. Solomon, moderated by publicist extraordinare Dana Kaye. 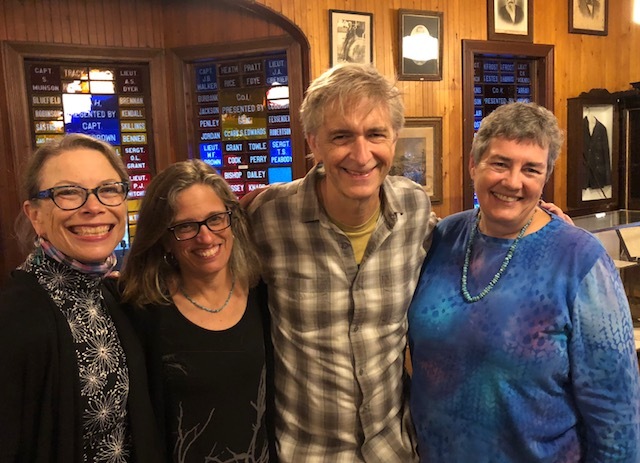 It was a good discussion with terrific writers, some of whom I’d not met before and all of whom I look forward to hanging out with at future conferences. 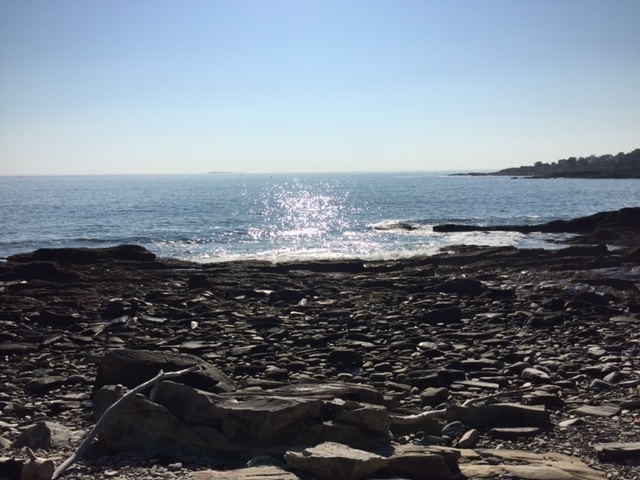 In the middle of the month I took myself off to Peaks Island for a week’s writing retreat as part of the Illustration Institute’s Faison Residency Program. A favorite spot on Peaks Island, a short walk from the cottage where I holed up and wrote for a week. The brilliant memoirist Elizabeth Peavey was also in residence that week, in a long, low stone house across the lane from the wonderful, multi-porched turn of the twentieth century cottage where I stayed. 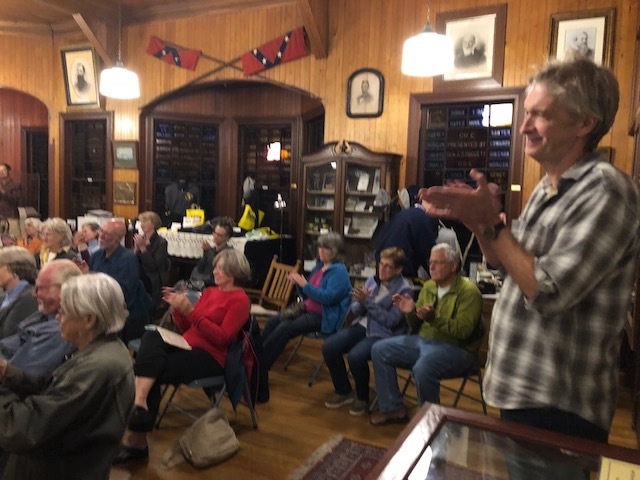 Liz and I shared dinner and writing talk a couple of nights, and on Thursday the 20th did a joint presentation at the Fifth Maine Regiment Hall and Museum. It was great to see so many friends on Peaks at the beautiful Fifth Maine. Thanks to Bill and Nancy Hall, who manage the historic treasure, for making it available for this event. Memoir and mystery are different genres to be sure, but writing is writing. It was a pleasure to meet with such an enthusiastic audience of readers and talk with Liz about our process and current projects. With John Faison, whose work with the Illustration Institute to create the artist residency honors his late wife, Marilyn Mazza Faison. Many thanks to Scott and Nancy Gibson-Nash of the Illustration Institute for inviting me for a second year, and to John Faison, whose generosity has taken the residency program from dream to reality. 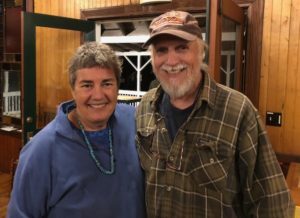 I’m sure the artists who have participated in the Faison residency agree – there’s nothing quite like uninterrupted time in an inspirational setting to create. It’s a treasure beyond words. 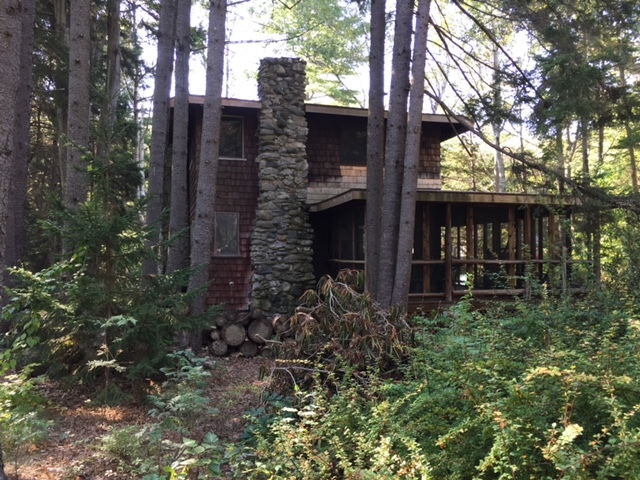 This entry was posted in Uncategorized and tagged Bouchercon 2018, Faison Residency, Peaks Island. Bookmark the permalink.